My name is Priscilla and I relocated recently from Europe to one of the great all season resorts in the USA, Park City Utah. 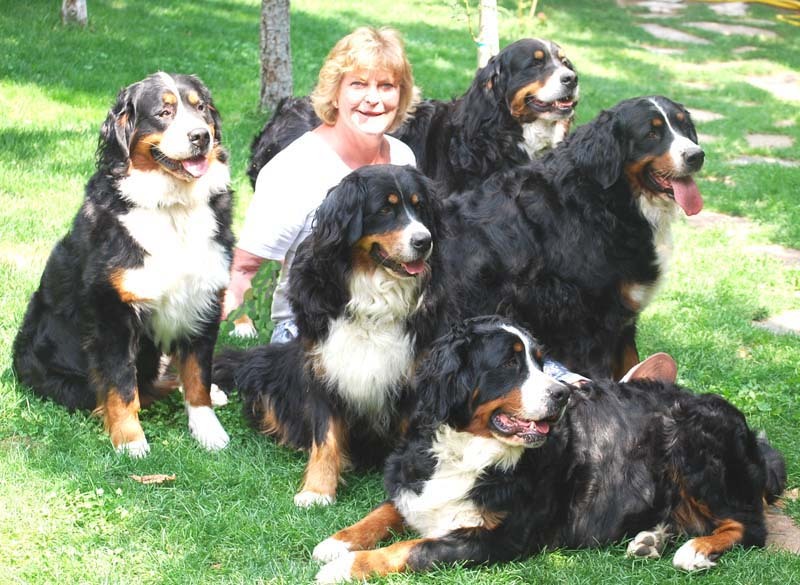 We are a family of Bernese Mountain Dog lovers with more than 30 years of experience in raising and showing these dogs. We have selected the best bloodlines in Europe and imported them in order to have a line of Bernese that are long lived and healthy and we place a special emphasis on good character. We also use some domestic lines of top quality genetic histories. Although we aren't commercial breeders, we do show dogs and will occasionally breed some of our best dogs in order to preserve the best traits of the breed. I don't have many litters, but when I do breed these dogs, I only breed the very best. The Bernese Mountain Dog is a short lived dog with an average life span of 7 to 10 years and although genetics are somewhat unpredictable, and we can't guarantee perfect health or longevity, we do extensive research and health screening before we breed our dogs.